A truly singular, charming and often extravagant experience that leaves guests with unforgettable memories. 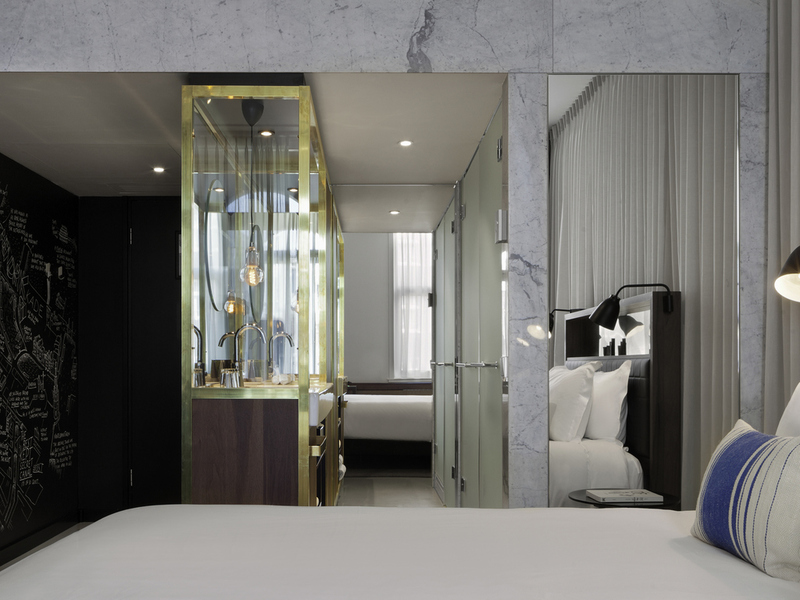 MGallery by Sofitel hotels create an once-in-a-lifetime experience for guests to celebrate a 'Memorable Moment'. With the thINK Amsterdam Package, you will experience Amsterdam like a local! Your day starts with a lovely buffet breakfast at PRESSROOM Restaurant. The package includes rental of two bikes for the day with a special map that enables you to discover the city's highlights. To complete your bike tour, we provide you with a picnic basket filled with a delicious lunch for two. Besides, you will receive a polaroid camera for the day to forever capture your 'Memorable Moments'. Amsterdam offers a harmonious blend of history, culture and modernity. Visit its famous museums, designer boutiques and Michelin-starred restaurants, or just stroll along its peaceful canals, a perfect way to experience the Flemish way of life. 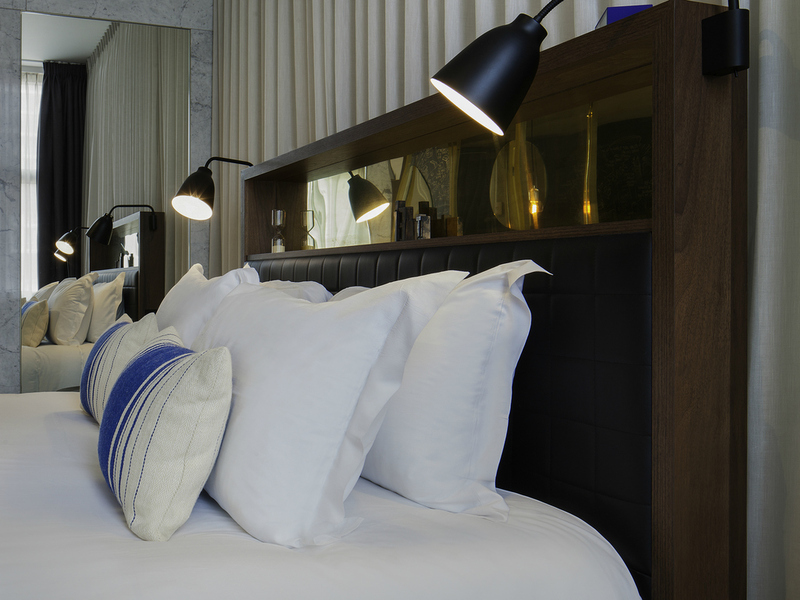 Our hotel has 149 stylish rooms, each with a "MGalleryBed" so you can get a perfect night's sleep in optimum comfort. The rooms have many modern facilities, such as free WiFi, tea and coffee-making facilities and air conditioning. Our Classic Room (19 m²) features a 40" LCD TV, safe, mini fridge, free high speed WiFi, C.O. Bigelow bathroom amenities, hairdryer, bathrobes, tea & Nespresso facilities. Our Superior Room (22 m²) features a 40" LCD TV, safe, mini fridge, free high speed WiFi, C.O. 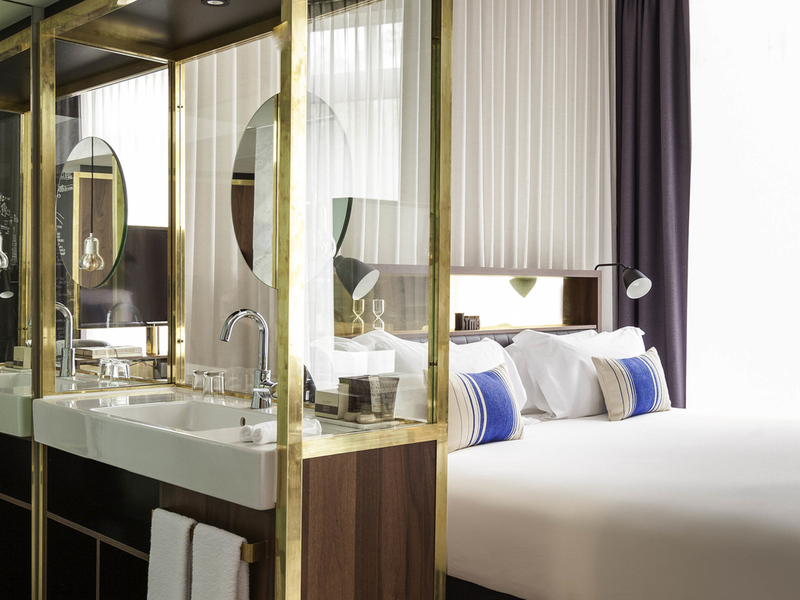 Bigelow bathroom amenities, hairdryer, bathrobes, tea & Nespresso facilities. 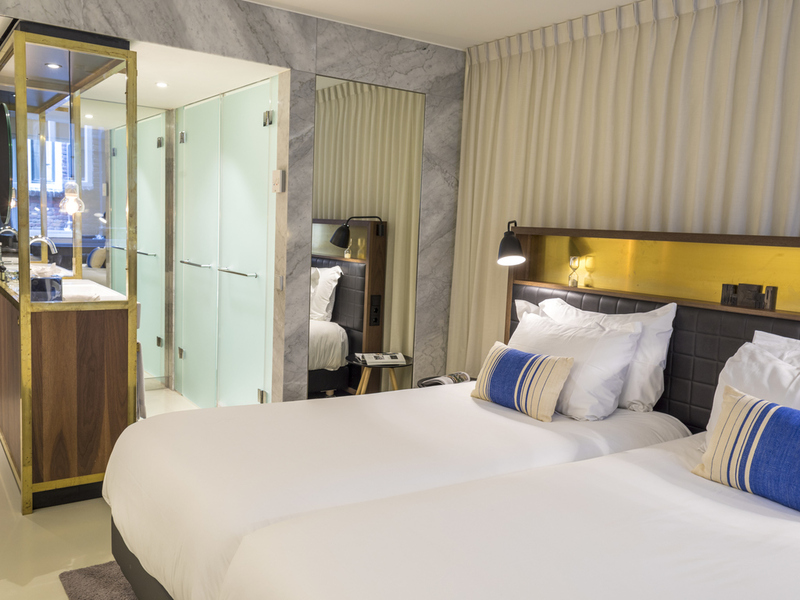 Our Junior Suites 31 sqm feature 40 LCD TV, safe, mini fridge, free high speed WIFI, Molton Brown bathroom amenities, hairdryer, bathrobes, tea & Nespresso facilities, wireless speakers, seating area, oversized desk. Our Deluxe Suites 45 sqm feature 2 x 40 LCD TV, safe, mini fridge, free high speed WIFI, Molton Brown bathroom amenities, hairdryer, bathrobes, tea & Nespresso facilities, wireless speakers, lounge area, oversized desk, bathtub. 24hrs Roomservice. Hot and cold dishes. 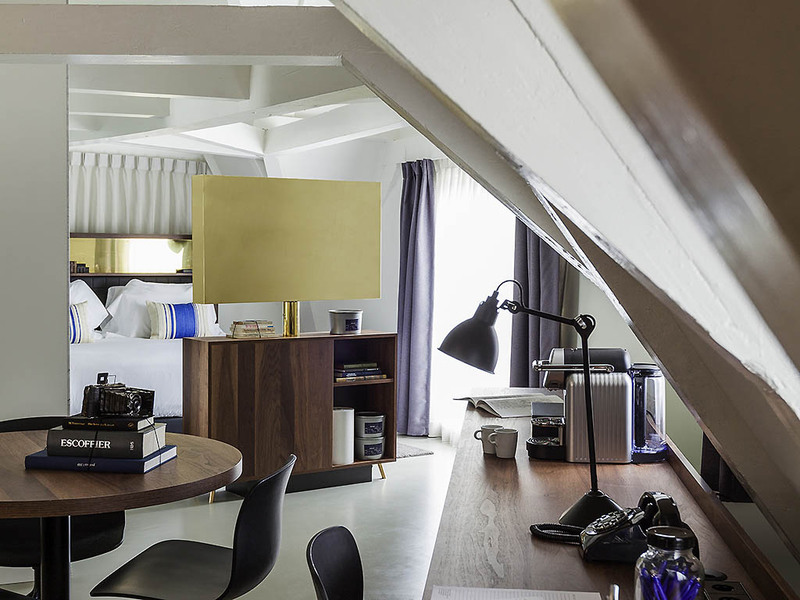 PRESSROOM Amsterdam is the all-day food and drink establishment at INK Hotel Amsterdam. The complex, consisting of the former newspaper 'De Tijd' printing works, is where PRESSROOM Amsterdam manages to surprise us all. PRESSROOM Amsterdam includes a Cocktail Bar and a Library Lounge. The contemporary interior pays homage to the former printing works, with its classical typewriters, glass ink pots and large paper rolls. 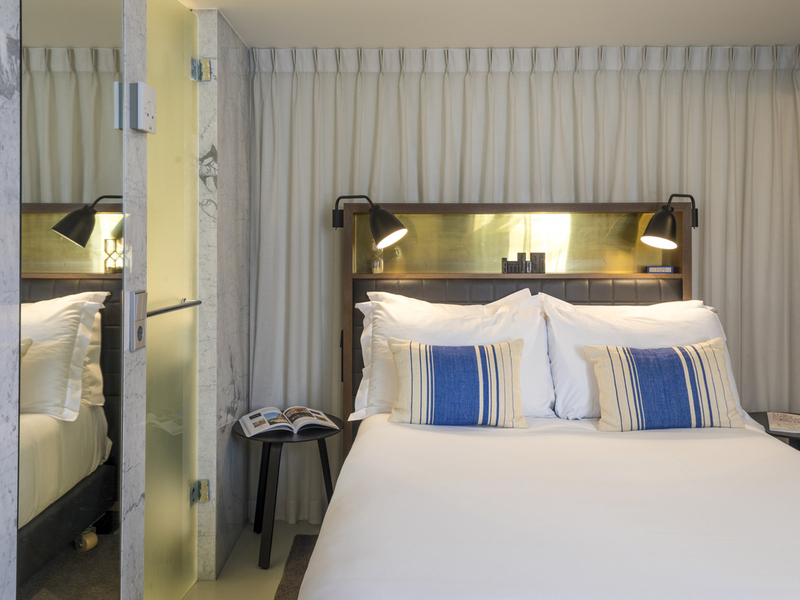 PRESSROOM offers an uncomplicated & relaxed experience with a modern and personal approach. The menu consists of modern classics with pure and simple flavors that merge into great combinations. You see what you eat and you taste what you see. We've got some insanely talented bartenders, shaking up the sweetest, stiffest and most innovative drinks in town. They combine local spiritis like Corenwijn and Genever and mix them up with the best ingredients from all corners of the world. 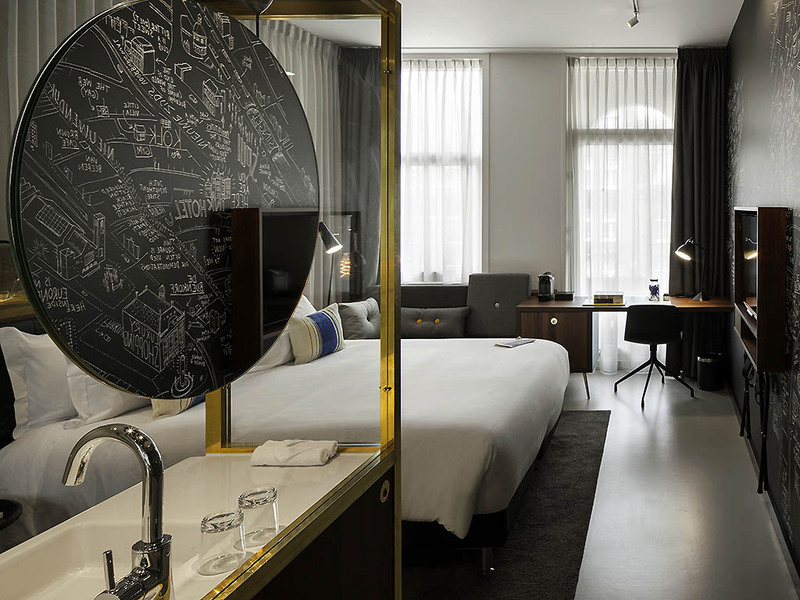 Meeting facilities are also well catered at INK Hotel Amsterdam: adjacent to the inner courtyard is a 'Garden Room' offering meeting facilities for twelve people. In addition to its function as a boardroom, the GARDEN ROOM is also suitable for private dining events.